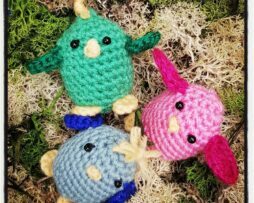 Amigurumi is the Japanese art of crocheting small stuffed creatures. It is derived from the Japanese words ‘AMI’ meaning crocheted or knitted and ‘NUIGURUMI’ meaning stuffed doll. A basic ability in crochet is required for this workshop, it is not suitable for those who have never picked a crochet needle before. The key skills we will be covering will be crocheting in spiral rounds, creating a magic ring and making invisible decreases. You will be able to keep your crochet hook and all materials needed to finish your creation at home if it takes you a bit longer to complete. We’ll also included the full pattern so you can make a friend for your creation. On this two hour workshop, you will be encouraged to create your own unique project using basic embroidery stitches. This course is suitable for those who have never threaded a needle before. If already have experience in embroidery, but have become a little rusty, then it is a fabulous course for reigniting the love for slow stitching. We can also teach more complicated stitches for those with previous experience. 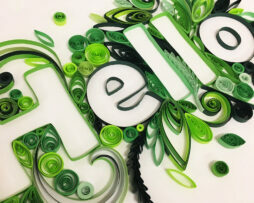 We will start by discussing the different terms in embroidery and the many thread types available. We provide a huge selection of template to choose from that have already been applied to fabric so we can jump straight into the fun part. No art skills needed! We will all start with a basic backstitch, which is the perfect foundation stitch for beginners. We will then teach up to 5 further embroidery stitches so you can make your embroidered piece as complicated or simple as you wish, you have free reign over colours and style. Our stash of threads and embellishments is rather large, including ribbons, sequins, beads, buttons and gems. We encourage you to jump in and find the perfect additions for your embroidery. 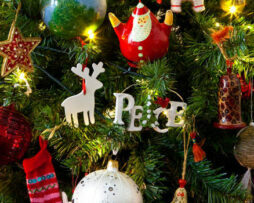 Embroidery isn’t a fast craft and it is unlikely that you will finish your project in this two hour session. 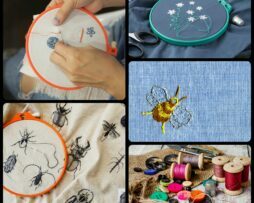 You will take home your project and hoop to complete at home, plus a lovely mini stash of needles and threads and two extra templates to continue your new found addiction. Tea and biscuits plus all materials are provided, suitable for ages 8 and over. 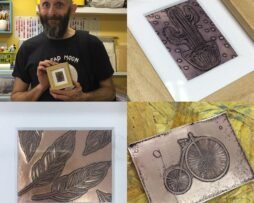 On this 3 hour class, students will be introduced to the basic techniques for etching designs onto copper. 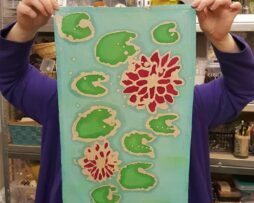 Students will experiment using permanent markers and permanent ink stamping pads to create textures, patterns, and images on metal. Students will have the opportunity to make a framed picture and a couple of pieces of jewellery such as a pendant, key chain, earrings, or bracelet. No previous jewellery experience is necessary and this class is suitable for complete beginners including sensible children. All materials and use of tools are included in the price of the workshop. We will be using an acid to etch our metal pieces. It is not a highly corrosive material but it will stain, please wear old clothes. Safety goggles, gloves and aprons will be provided. Hot and cold beverages and light snacks are included.